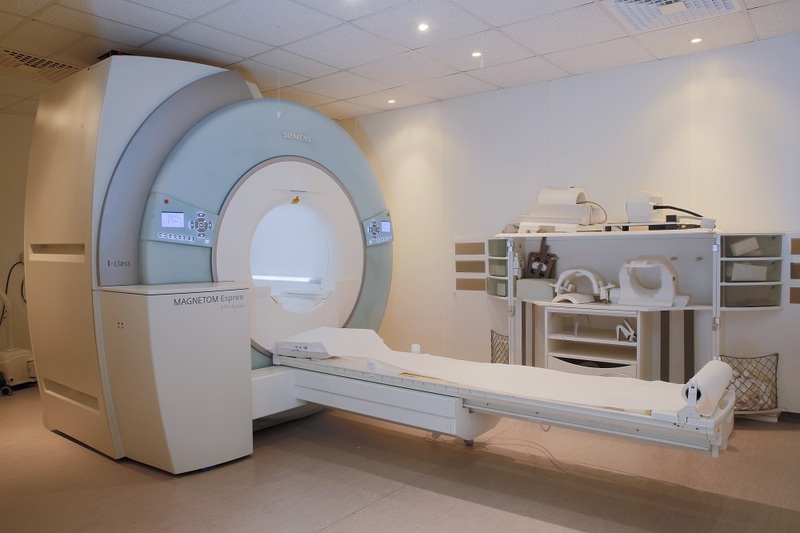 A new Magnetic Resonnance Imaging system is now installed at Serhal hospital: the latest SIEMENS® 'Magnetom Espree' MRI is highly innovative with its WIDE TUNNEL and High Definition software that covers whole body imaging with excellent quality images: the tunnel is now wider and the table shorter than previous generation MRIs, with a 70 cm diameter tunnel and a 125 cm table length, allowing to keep half of the patient's body outside the MRI. This new machine also benefits from a shorter imaging acquisition time and a minimized noise level that make it more confortable to claustrophobic patients. The other imaging machines available at our hospital allow a complete imaging panel in the best conditions for patients and physicians.